In regular stock item .Welcome your order any time. Each additional shipping cost: USD$4/Unit. We offer combined shipment service. For example,One item the retailed price is USD$25/Unit ,Shipping Cost is USD$5/Uint,Each additional shipping cost USD$3/Unit. Now,You buy 3 pcs of this item, and you need to pay 25×3＋5＋2×3=USD$86,(If you order many quantity simply add 1 pcs item to your shopping cart and then pay for the price difference,finally leave a message to us indicate the quantity) For your convinience you can pay the price difference from HERE or CONTACT US for more info. Also, you can select the UPS, DHL, EMS,TNT typically takes only 5-10 workingdays. If you want to use the express service you need to pay for the price difference please contact us before you pay. If you are a wholesaler or need to wholesale contact us for better price. 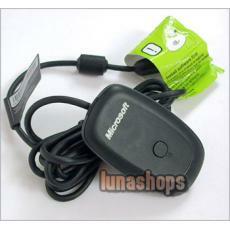 This is brand new wireless gaming receiver for windows Black version. It was taken out from the xbox 360 wireless joypad kits. 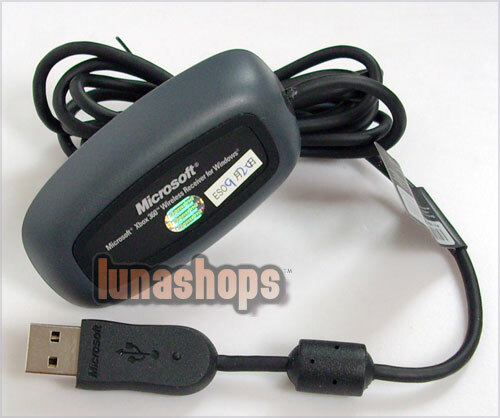 Enjoy all of your xbox 360 wireless accessories on your Windows-based PC platform. ● Compatible with the xbox 360 Wireless Controller, the xbox 360 Wireless Racing Wheel, and the xbox Wireless headset.